MAYVILLE – One of the main priorities for 2019 highlighted by Chautauqua County Executive George Borrello during his State of the County Address in February will be be taking a major step forward later this week. During his February 28 State of the County report to the Chautauqua County Legislature, Borrello said he wanted to create a consensus between all Chautauqua Lake stakeholders that will be highlighted in an official memo of understanding and which would be used to help steer funding for lake management. “The Consensus Strategy will involve a series of action steps and tenets that will be outlined in a Memorandum of Understanding. We will be asking all of the major stakeholders to sign onto this M.O.U., which will essentially be a ‘ceasefire agreement’ that the lake groups and municipalities would participate in so that we can move forward, together, with an action plan for in-lake weed management while not losing sight of the long-term strategy needed to truly cure the disease that the lake suffers from,” Borrello said. During his February speech, the county executive also noted that there would be financial consequences for any organization that did not sign the M.O.U. 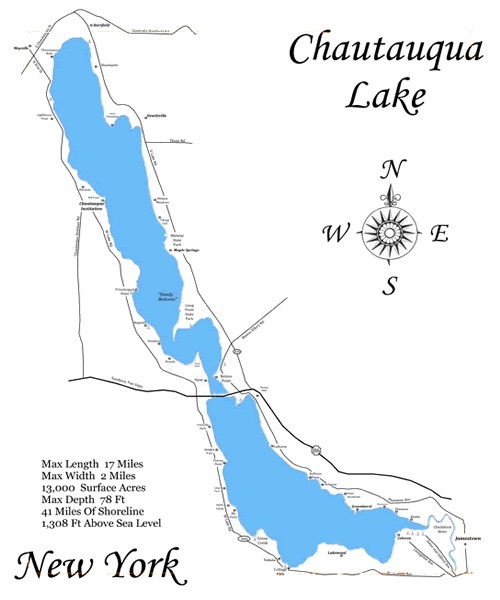 “Any funding from the county, and from many of the local foundations, for efforts dealing with in-lake projects will flow through the Chautauqua Lake and Watershed Management Alliance. The executive board of the Alliance has preliminary agreed to only fund those organizations who participate in the Consensus Strategy by the signing the Memorandum of Understanding,” Borrello said. The M.O.A. will reportedly contain 24 separate tenets. The county executive’s office also says that Borrello plans to sign the agreement on behalf of the county during the announcement. Borrello will be joined by Mark Geise, Deputy County Executive for Economic Development; Dave McCoy, County Watershed Coordinator; Pierre Chagnon, County Legislator and Chair of the Chautauqua Lake and Watershed Management Alliance; and Tom Heins, P.E., Principal of Ecology & Environment, Inc. The unveiling will take place at 10 a.m. in Room 331 on the third floor of the Gerace Office Building in Mayville.